One of the most common struggles everyone faces with their hair is breakage. Whether it’s from chemicals or styling, breakage is the number one cause of looking and feeling brittle and limp. To fix this issue, we can usually go in and see our stylist for a haircut and then we’ll feel good as new. Well, there are some precautions you can take with your hair to prevent breakage and promote long, healthy locks. One of the simplest ways to help stop breakage is by reducing the amount of heat you use to style your hair. 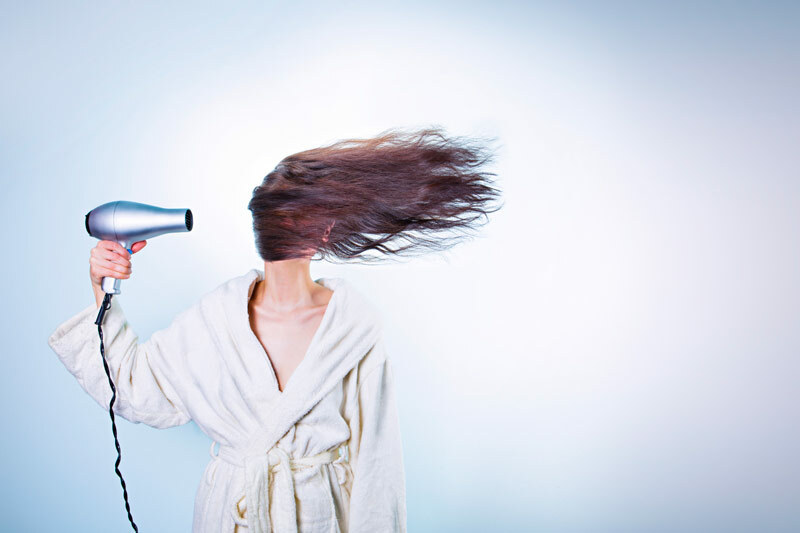 You shouldn’t use a heat styling tool without a good heat protectant spray. Aveda’s various style preps are wonderful on damp hair before you blow-dry. Their Smooth Infusion is great on straight styles while their Be Curly style prep works great on curlier looks! If you tend to reach for the flat iron or curling iron, MoroccanOil has an amazing heat protecting spray to help. You should also make sure that you’re not setting your heat on the highest setting. The amount of heat you need is all dependent on your hair texture. Your XEX stylist can help point you in the right direction and advise you on the best precautions to take when styling your hair. Let’s face it, hair is fragile. You lose a little bit of your hair’s integrity with everything you do to it. Make sure that you’re being gentle and that your hair is dry when brushing. Using the correct brush for your hair type is equally as important. Your XEX Stylist will be happy to explain the different types of hair brushes you should be using on your hair. You should also make sure that you don’t put your hair in tight styles (like ponytails or buns) too frequently. The constant pulling is a strain on your hair and will cause some of it to break off. After you get out of the shower, blow your hair with a towel and comb through with a wide tooth comb to help stop damage. Don’t forget to visit your stylist for routine haircuts to keep your ends looking and feeling their best. As always, feel free to talk to your XEX Stylist about what type of care your hair type so that you can continue to have strong, beautiful hair.